Westfield World Trade Center in New York is Manhattan’s largest shopping centre. 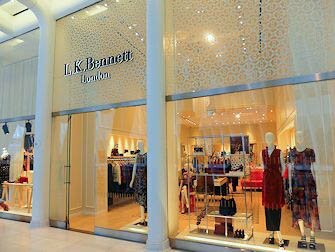 For those who want to do some serious shopping in New York, this is a great place to visit. 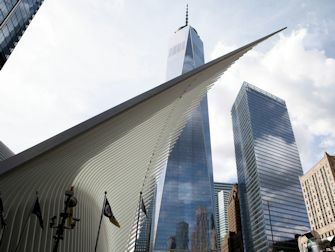 The shopping centre is located in the Financial District, between the buildings of the new World Trade Center. 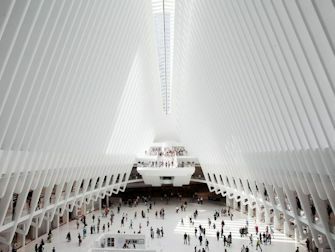 Also, the huge public transport interchange, the World Trade Center Transportation Hub is located there, with the famous white construction Oculus as its landmark. The shopping mall is almost 34,000 square metres and is home to around 100 shops. 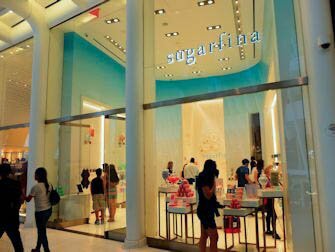 A shopaholic’s true paradise! Many major retail chains are represented in this mall, including an Apple Store and many clothing shops such as Banana Republic, H&M, Hugo Boss and Forever 21. For those looking to add to their cosmetics collection in New York, there is Sephora and two branches of Duane Reade by Walgreens. Another firm favourite for women, Victoria’s Secret also has a branch in the mall. There is also a lot of choice for the men, with, amongst others, Breitling and The Art of Shaving: specialising in shaving equipment and accessories. Have you purchased so much that it doesn’t all fit in your luggage? You can always head over to Samsonite for an extra case! With all that shopping you can be sure to work up an appetite. 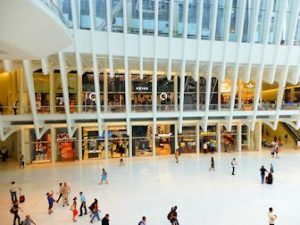 Not a problem at Westfield World Trade Center, there are a wide range of food and drink options. Of course, Starbucks has a branch in this real American Mall. For coffee you could also go to Dunkin’ Donuts and New York’s own “hometown roasters” Irving Farm. Craving a healthy drink? Head to Joe & the Juice for a fresh juice or smoothie. You don’t even need to leave the mall for one of my favourite burgers because Shake Shack has a location in the Fulton Center Towers. Are you heading to a Broadway show after all the shopping? Grab a pre-show dinner at one of Eataly’s five restaurants: this Italian market have opened their second establishment in the mall.